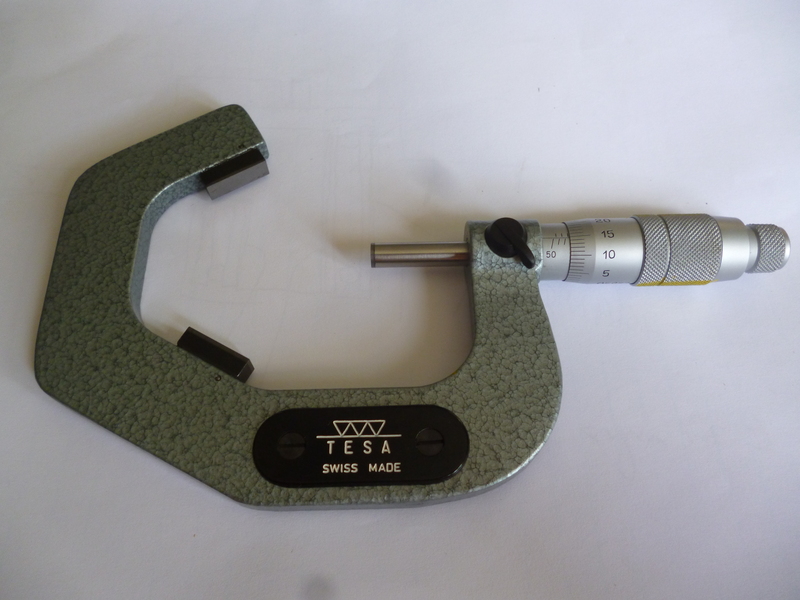 The conventional micrometer measures the distance between the faces of the micrometer. It can measure the distance between two parallel surfaces or two side of a round bar. There are tools that are basically round but because the are fluted they cannot be measured using a traditional micrometer. The most common example of this are taps and reamers. 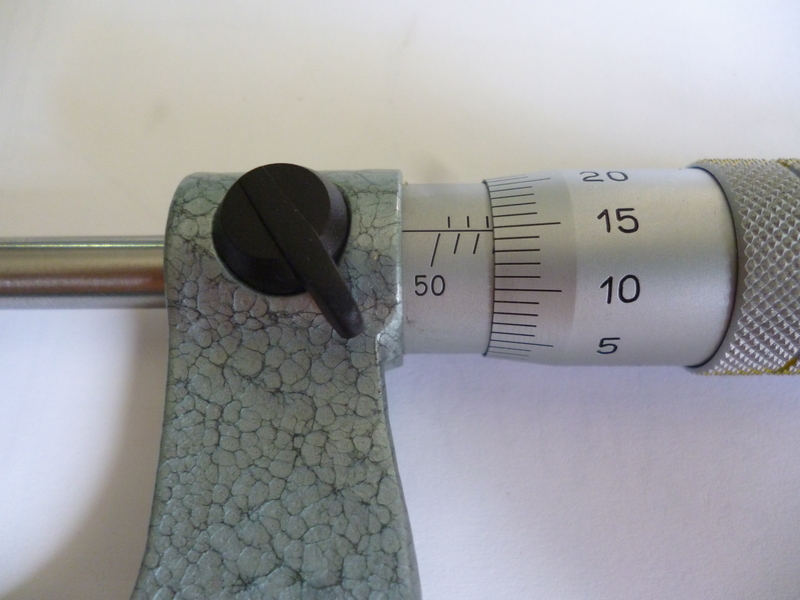 If the tool has flutes on opposite sides then it can be measured with a traditional micrometer. It is actually possible to measure any tool if the number of flutes is a multiple of two. If it is not a multiple of two then a special micrometer is needed. This is the flute micrometer. There are two varieties of this one covers a fluted tool where the number of flutes is a multiple of three the other where the number of flutes is a multiple of five. Considering this, it is probable that tools are not made with 7 or 11 flutes. The sum of the internal angles of a polygon is 180*(n-2) where n is the number of sides. If the polygon is regular then the angles between the sides will be the sum of the angles divided by the number of sides. For a 3 flute micrometer the angle is 60º. For a 5 flute micrometer the angle will be 108º. As the object being measured gets larger the point of contact with the fixed anvils will move from the narrow point towards the wider point. As the object gets bigger the moving anvil will not move by the same amount as the object’s diameter has increased. This means the micrometer head used on the 3 and 5 flute micrometers are both different from each other and both different from the usual micrometer head. In the example shown the range of measurement is from 50-65mm. The reading gives the exact size of the object in mm but the spacing is different. The scale does give the correct reading in millimeters.